A tokamak would be a lifeless machine if it was not supported by a significant industrial infrastructure. 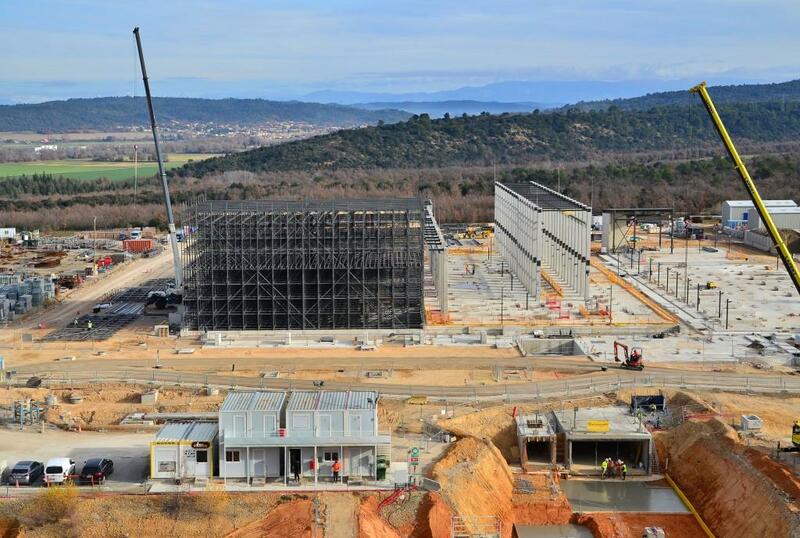 On the ITER platform close to 40 buildings host the equipment and systems that make burning plasma experiments possible. One of the newest structures on site has gone up in the heat rejection zone on the north side of the platform. 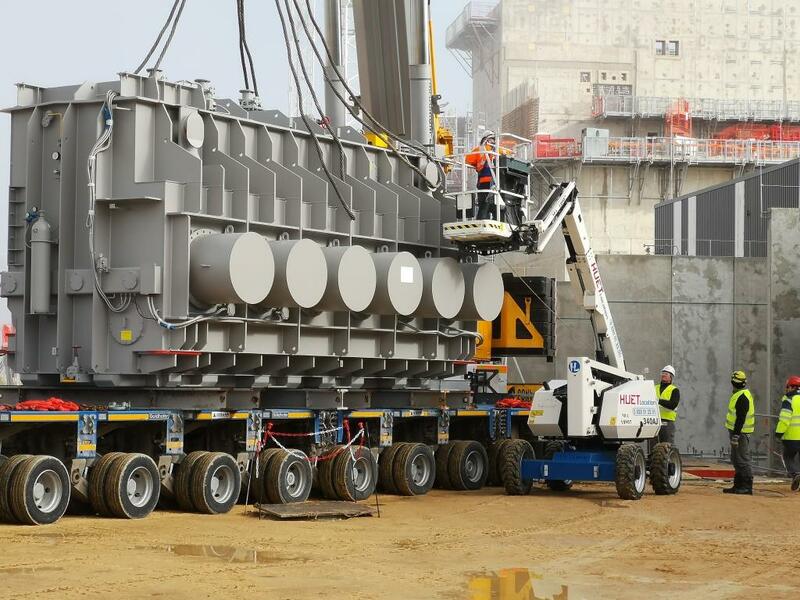 The European Domestic Agency is building the infrastructure, the Indian Domestic Agency is procuring the equipment, and the ITER Organization is overseeing installation works. A tokamak needs to be fed electrical power in both AC and DC form; it requires powerful heating systems to bring the plasma to the required temperature; the machine's superconducting magnet system demands a constant circulation of cooling fluids; the heat generated on the plasma-facing components must be evacuated by a large water cooling system, complete with kilometres of piping, basins and cooling towers. 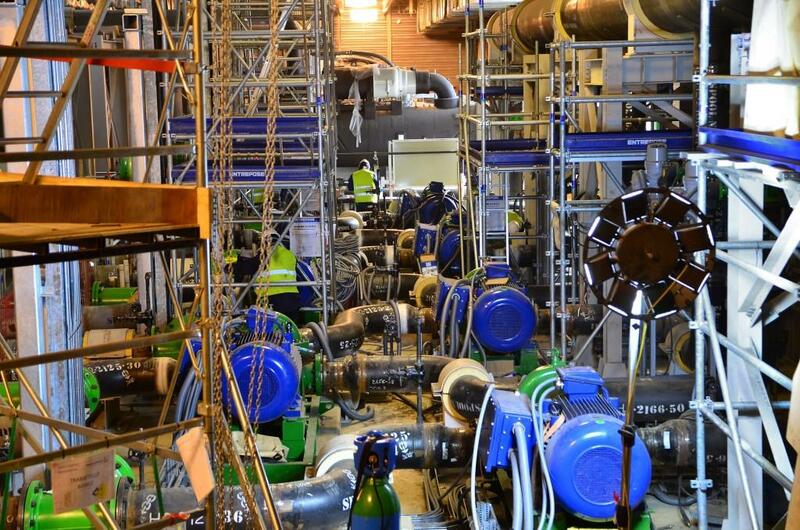 See the gallery below to see some of the under-sung areas of the ITER worksite that host critical plant systems. Despite a rather unassuming name, the Site Services Building is strategic for the entire installation, accommodating and distributing a large number of industrial support services and systems. All mechanical and electrical equipment (pumps, chillers, pressurizers, cabinets and chemical dosing systems) and relevant piping has been installed, and a series of hydrostatic tests have been completed successfully. On the northern tip of the worksite the 6,000 m² heat rejection zone is emerging. 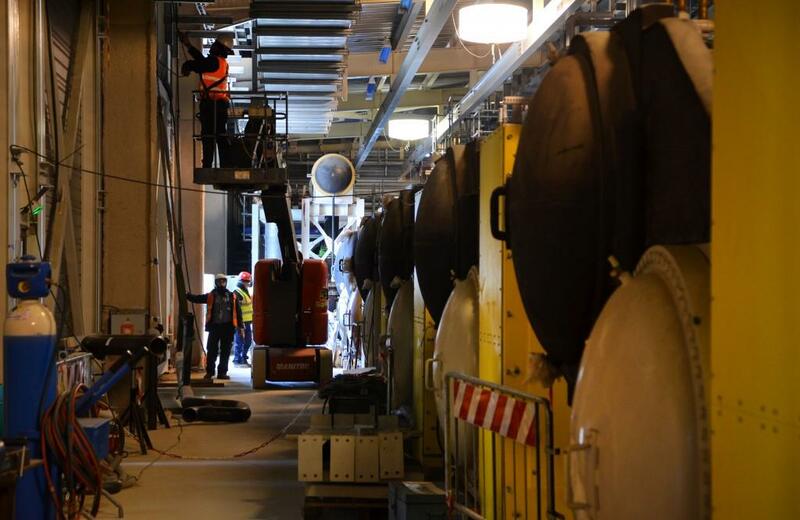 Here, water that has circulated through the plant to remove the heat from the ITER vacuum vessel, its plasma-facing components, and systems will be transferred for cooling. The most recent structure, in black, will house the 10-cell, 20-metre-tall cooling tower. If ITER were an industrial fusion plant, a significant part of the heat generated by the burning plasmas would be used to produce pressurized steam and (by way of turbines and generators) electricity. Only residual heat would need to be dissipated. 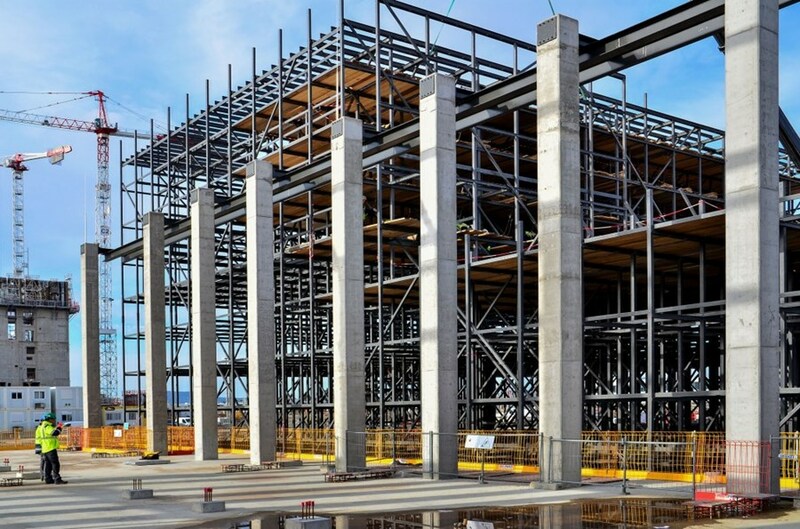 In ITER, a high-performance heat rejection system has been designed and is under construction. 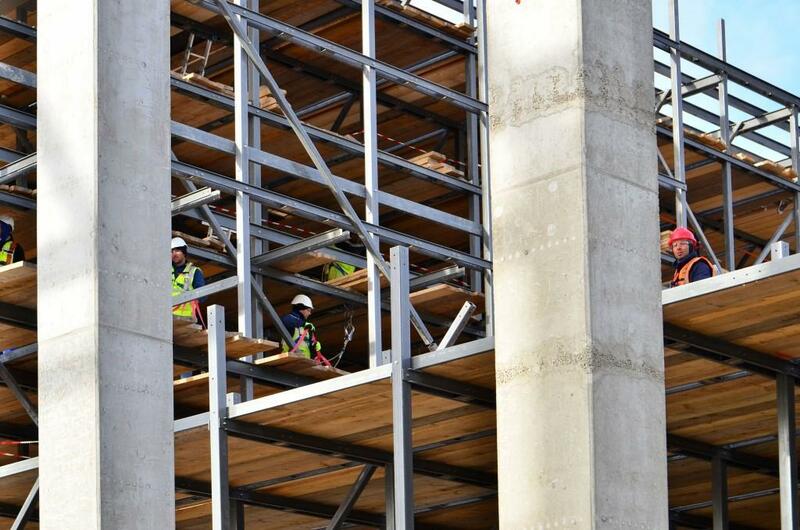 Supporting structures are going up now for the cooling tower cells. Each of the 20-metre-tall cooling tower cells will be filled with hundreds of layers of corrugated plastic fill and equipped with a large fan that pulls air upward. As water falls through the fill, some of it evaporates due to the strong uptake of air, removing heat.The dark-grey support structure for the cooling tower cells is made of pultruded fibre-reinforced polymer beams. Equipment arriving from China and Korea is installed in the bays outside of the Magnet Power Conversion buildings. Two 150-metre buildings will act as the AC/DC adapter that converts current coming out of the electrical distribution network into the DC current required by the magnets.